We’re pretty sure his bug list is in the thousands at this point. Mordekaiser is the center of the League of Legends universe today as the community has uncovered yet another hilarious bug to add to his never-ending crusade to break the game. Multiple threads on the game’s Reddit community have cropped up showcasing a new bug which prevents Morde from dying. Mordekaiser’s whacky bug adventures this year have been pretty extreme. One caused him to crash the game completely, another resurrected Jhin in permanent fourth-shot mode, and those are just the icing on the cake. All in all, there have been hundreds of Morde bugs reported this year, and today, we can kick off 2018 with a new one. Morde can now avoid death by exploiting the Revitalize rune. At first, the community was perplexed by what exactly was happening. One Reddit user thought he was simply dying and coming back to life upon being taken to zero health, but it turns out that the bug only happens when you reduce yourself to zero health with the Revitalize rune attached. You see, the Revitalize rune doesn’t only increase your healing and shielding, it also increases your health costs per ability for champions that have them. 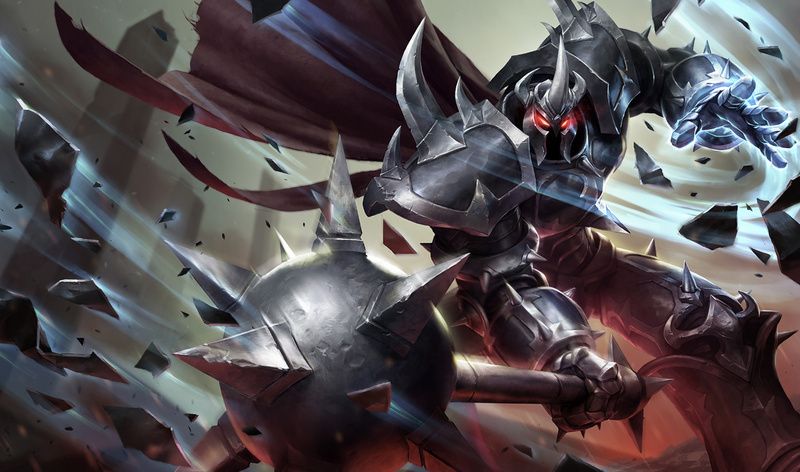 Morde is one such champion, and when he uses these abilities, Revitalize forces him to lose more health. He’s wired to be incapable of killing himself with his own health costs, but Revitalize isn’t, so the bonus health can “kill” him. When it happens, he becomes untargetable, just like any other dead champion, but then the game seems to realize its mistake and Morde just gets up and keeps walking a fraction of a second later. This means that his “death” isn’t actually a death, and he can even force himself into this brief untargetable state to avoid incoming attacks to prolong his life. So, if you’re bored and you want to try out a new cheesy strategy on one of the worst champions in the game, this is a fun one. Since it can be exploited on-demand, however, it probably won’t be long before Riot nips it in the bud.